Clauses function as one of three parts of speech: adverb, adjective, or noun. This review is about adverbial clauses (also called “adverb clauses”). The terrifying dragon reared its head above the warriors. The curly-headed little girl lived to the age of 86.
when the train pulled into the station. The reader is left to wonder what happened when the train pulled into the station. The word when signals a dependent clause. because the gate was left open. The reader is left to wonder what happened because the gate was left open. The word because signals a dependent clause. 1. He was standing where I left him. Adverb clause: where I left him. 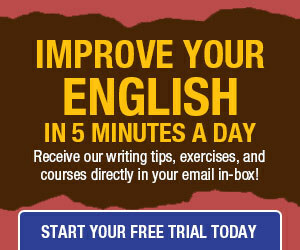 The adverb clause modifies the verb “was standing” in the main clause. The subordinate conjunction that introduces the clause is where. 2. He is as happy as he deserves to be. Adverb clause: as he deserves to be. The adverb clause is introduced by the correlative conjunction as…as; it modifies the adjective happy. It functions as an adverb of degree. 3. He speaks French so quickly that I cannot understand him. Adverb clause: that I cannot understand him. 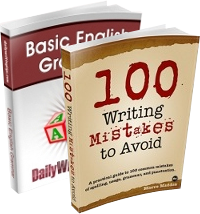 The adverb clause is introduced by the correlative conjunction so…that; it modifies the adverb quickly. It functions as an adverb of degree. Note: Correlative conjunctions have two parts that sandwich the element being modified. Common correlatives are: both…and; not only…but also; either…or; neither…nor; and as…as. Thanks for this information. I like that it goes beyond the very basics. As an editor, I need to refresh on all these terms–after all, if I don’t care to know/remember them, who will?